Snow white with jet black gills and rhinophores, this slug is fairly common in Hawaii and easy to spot. Its firm body is slightly granular to the touch. Divers find it regularly in or at the entrances of caves at depths of 20 to 50 ft., usually on sponges. It was named for biologist David Fellows, who collected the first scientific specimen. 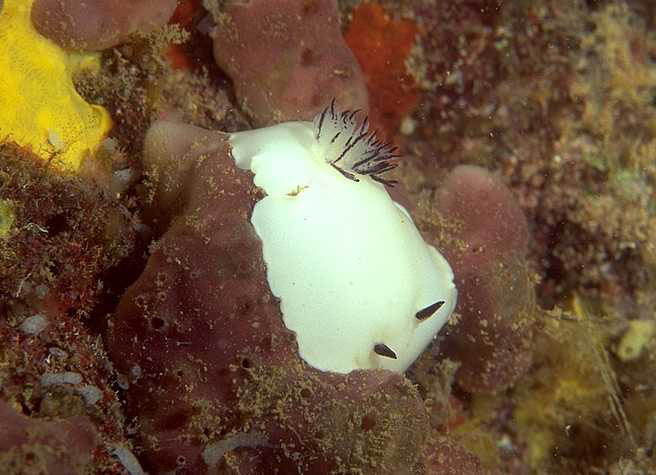 A smaller, less common endemic, Ardeadoris scottjohnsoni, has similar coloration but is soft and smooth to the touch. To about 2 in. 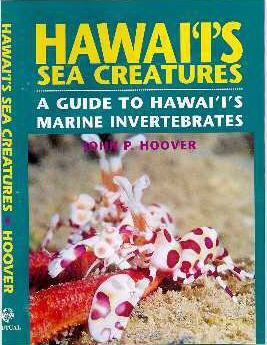 Endemic to the Hawaiian Islands. Photo: Pupukea, O`ahu. 30 ft.